The Ward Virts concerts are performed on a world-class handcrafted Bosendorfer Grand Piano, a gift to CSM’s Prince Frederick Campus from the Ward Virts Piano Project. The concert will be held at CSM’s Prince Frederick Campus in Building B, Multipurpose Room at 115 J.W. Williams Road, Prince Frederick. Sponsors include the College of Southern Maryland Foundation, Dr. and Mrs. Henry Virts, Eric and Rané Franklin, Mary Anna Phillips, and Stovy and Anne Brown. Grants have been received from the Arts Council of Calvert County and the Maryland State Arts Council. The concerts in the series are free. For more information, visit the college’s website. The Ward Virts Concert Series celebrates the life and talent of Ward Virts, a talented Southern Maryland pianist who died suddenly in 1993. A group of Ward’s friends and classmates conceived the Ward Virts Piano Project to bring the love of life, beauty, and music that Ward embodied to a new generation of Southern Maryland students, performers, and appreciative audiences. 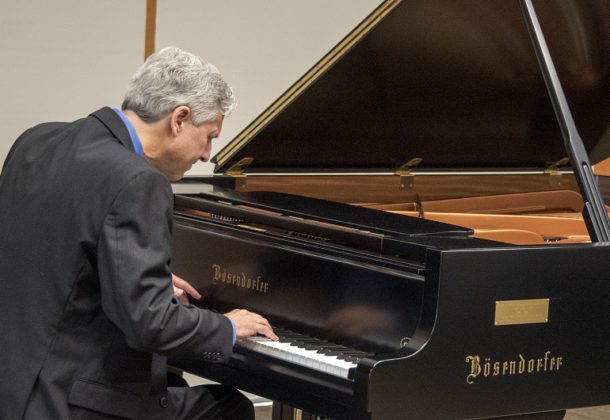 The concerts are performed on a world-class handcrafted Bosendorfer Grand Piano, a gift to CSM’s Prince Frederick Campus from the Ward Virts Piano Project.